What are the benefits of honey? Let’s take a closer look at this natural sweetener. Honey is sweet and wonderful and all the rage right now. Everyone I know has read some article about the wonderful health benefits of honey, but it can get a bit complicated. 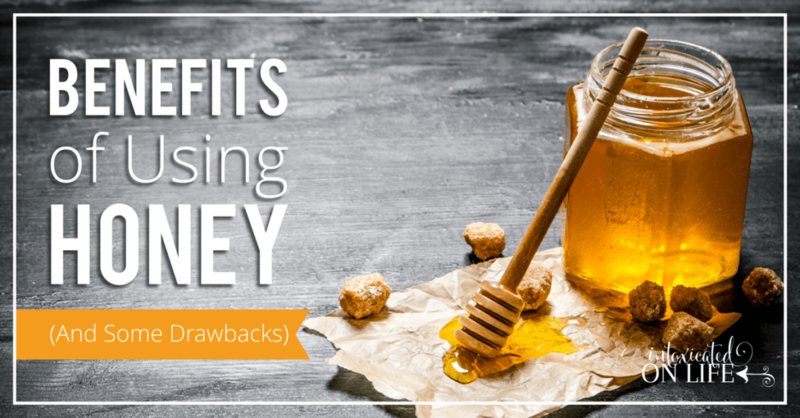 We’re going to examine all of the benefits and drawbacks of using honey in this post. We’ll sift the truth from the hype and also give you some pointers on how to substitute honey for sugar in your recipes. Honey has been used for generations and in many different cultures as a remedy for many health ailments. I heard about this yet again at our recent trip to Yorktown, Virginia. One of the guides related how the soldiers during the Revolutionary War used honey topically to heal cuts and scrapes. They didn’t necessairly know why it worked at that time, but they knew it did work. Honey has antiseptic, antibacterial, antimicrobial properties and so it is a great topical option for using topically on cuts and scrapes. Honey has been found to help with a number of ailments effecting the digestion system. It can counteract indigestion, aid in relieving an upset stomach, and cause ulcers to abate. Some individuals find that seasonal allergies are alleviated with the regular ingestion of honey. Honey in its raw unfiltered state is considered a superfood by some alternative health care providers as it contains antioxidants, minerals, vitamins, amino acids, enzymes, and phytonutrients. Here’s the thing: honey can be a bit confusing. The processing, or lack thereof can make all the difference in the healthfulness of this tasty golden sweetener. The lovely unblemished golden liquid that you find in the plastic teddy bears at the grocery store has been pasteurized (heated to high temperatures and quickly cooled) and filtered. The primary reason honey is pasteurized is because it retards the crystalization of honey. In other words, pasteurization makes sure the honey is liquid when you purchase it (and for months thereafter). Honey is filtered to give it that beautiful clear appearance. 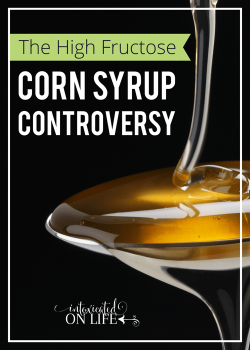 Another thing to note is that even honey labeled “Pure Honey,” may contain fillers like high fructose corn syrup (yikes…more about corn syrup in another post in this series). Honey must be raw and unfiltered if you are to reap the advantages of using it. 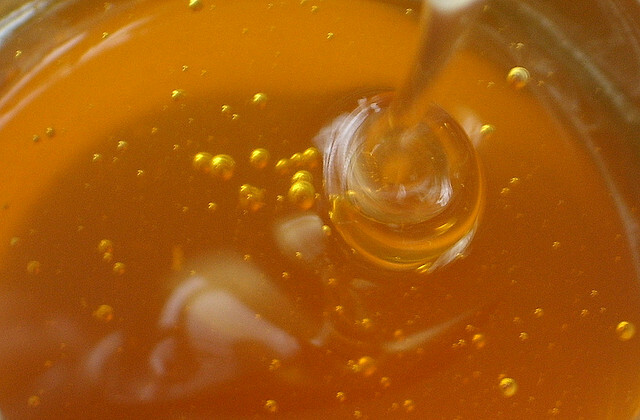 Processed honey loses its antibacterial, antiseptic properties. When honey is filtered it has no benefit for those seeking to use it for allergy relief. Pasteurization kills vitals benificial enzyme and decreases the antioxidant capacity of honey. When the honey has not been pasteurized or filtered it’s often referred to as raw honey. 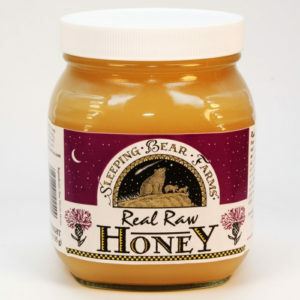 Raw honey crystalizes very quickly (typically within weeks). The raw honey I purchase is already solidified when I get it and has a milky color to it and sometimes has visible flecks throughout – it’s not clear like what you find at the grocery store. Just as honey varies in flavor in color depending on the type of flowers the bees collect nectar from, it also varies somein nutritional content. All honey is composed of both glucose and fructose and has a similar caloric content to that of table sugar. Honey contains a number of different vitamins including: B vitamins, Vitamin C, Iron, Calcium, Magnesium, Phosphorus, Potassium, and Zinc. One way we can measure the impact a food has on your blood sugar is by looking at it’s glycemic index (GI). The glycemic index is a measure of how quickly a particular food causes your blood sugar levels to rise. 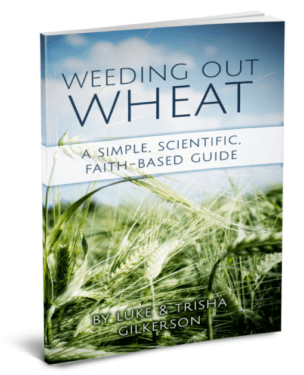 The glycemic index only gives a partial picture as it doesn’t take into account the amount of food (and thus total amount of carbohydrates) a person consumes. Foods can also vary quite significantly from person to person in the impact they have upon a persons blood sugar. 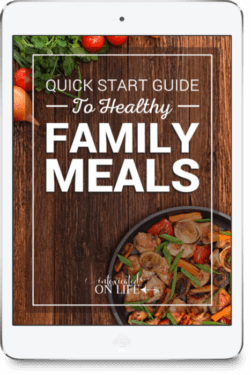 The only sure way to know what a food is doing to your blood sugar is to to test your blood sugar levels at regular intervals right before and after eating a particular food. With that said, table sugar has a GI of 60. 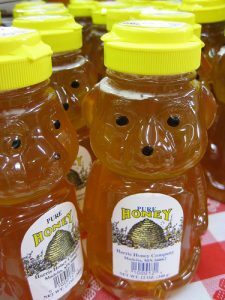 Honey varies anywhere from 32 to 69 with most honey that you purchase from the grocery store being in the 58-69 range. The GI levels of raw honey tend to be on the lower end of the spectrum. So as you can see, refined pasteurized honey has a glycemic rating generally equivalent to that of table sugar and there is no blood sugar benefit for substituting your white table sugar for honey. On the other hand, we see that raw honey is absorbed slower and causes a slower rise in blood sugar (among all of the other health benefits outlined above) and can be a good substitute for those looking for a more healthful sweetener option. Honey, even raw honey, for those who are diabetic, trying to lose weight, or have other reasons for trying to strictly control their blood sugar should avoid honey. Although raw honey has many health benefits over that of sugar, it will still cause a significant insulin spike and is made up almost entirely of sugars. 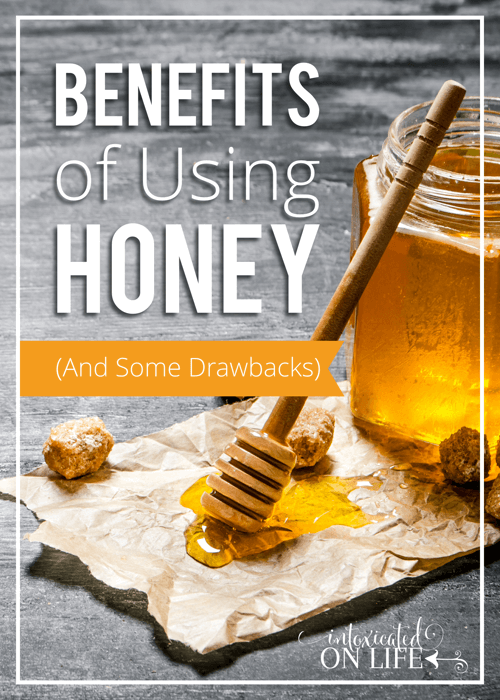 Honey can be used in place of sugar in most any recipe, but it can add a slightly different flavor to your food and beverages and there are some tweaks you will most assuradly want to make. Do note that honey is more dense than sugar, causes baked goods to brown more quickly, and adds moisture to your recipes. Use 3/4 cup of honey to 1 cup of sugar (honey weighs more and is sweeter). Reduce other liquids by 1/2 cup for every 1 cup of honey you use. If baking reduce oven temperature by 25 degrees. Below are a few recipes that use honey, you might want to try. I think most people know there is a risk of botulism for children under 1 year who consume honey. Our more developed digestive systems are able to destroy the spores responsible for botulism, but our babies don’t yet have this capacity. So, please do not allow your babies to consume honey. In my home, we are trying to keep the blood sugar levels of everyone (including the kids) stable and so I use honey only rarely. In order to reap the benefits of honey, I keep raw honey on hand for special delicacies. 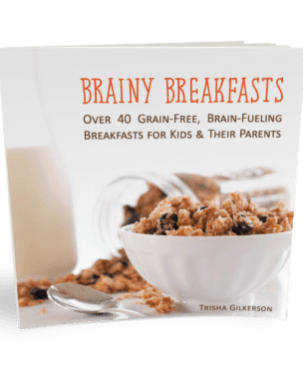 It is a nice treat for the kids on occasion and I feel much better about using honey as a sweetener than refined table sugar, because of the benefits of honey, but I don’t intend on making it a regular staple. 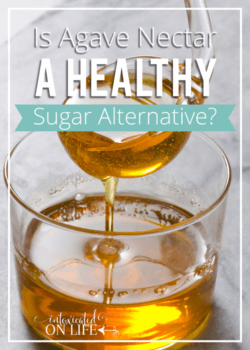 A Sweet Life: Is Agave Nectar a Healthy Sugar Alternative? 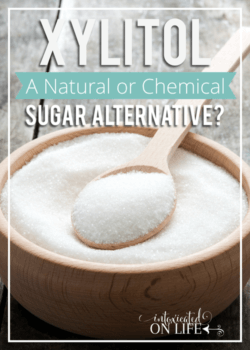 A Sweet Life: Xylitol – A natural or chemical sugar alternative? Honey is a wonderful sweetener. I prefer it and maple syrup. Yum! Great article. Every time I purchase honey I am reminded of the plight of the bees and of most of the commercially available honey at big box and supermarkets being filtered to remove the pollen. Fresh honey must be delicious! 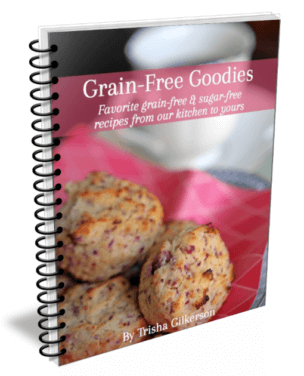 We don’t eat much, but do try to pair it with healthy fats, protein, and whole grains when we do.